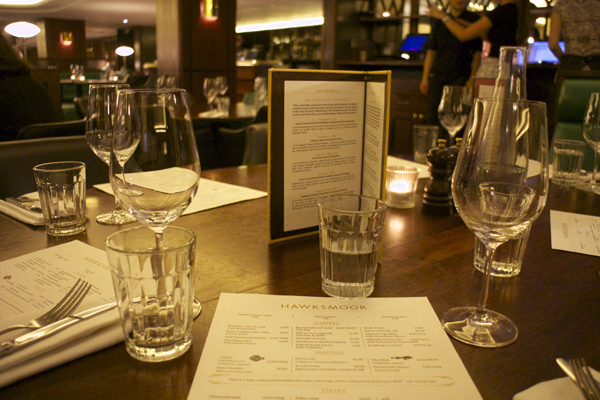 Dab as one of Londoners favourite steakhouse, Hawksmoor is a huge successful group. The Air Street branch is a little hidden by street view, just remember to turn the corner near Whittard teashop. 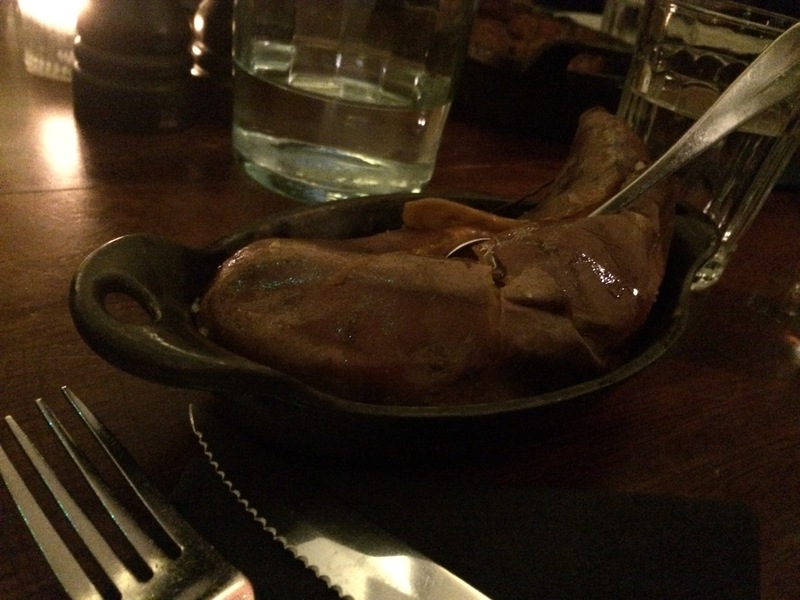 It was my friend’s birthday party, the lover of all things meat and especially steak. 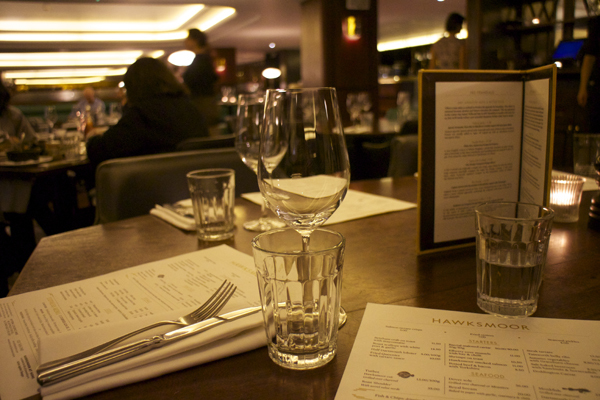 Even in November Hawksmoor seem to be popular, with table bookings mostly full for the evening, we had no choice but to dine around 4pm. 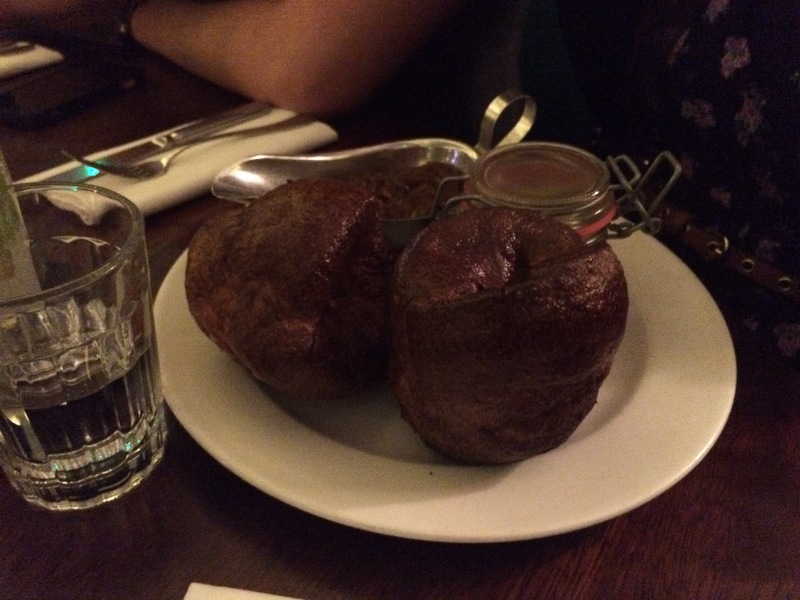 Lucky for us, it meant we good take advantage of the express menu for a 3 course menu for £27. 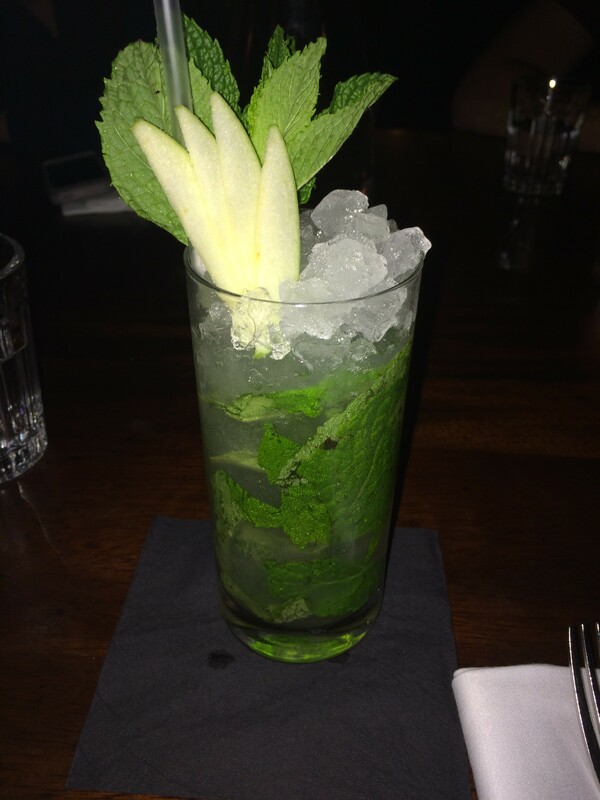 The moment you enter the doors of Hawksmoor you are treated to a 5 star service, coats taken away, we walked up the stairs passing the bar, to the dining area. A first impression of the Art deco inspired interior was it seems very casual, large table booths, stained windows and the space of the place is huge. Once the final two of the party arrived we ordered our food, I actually went for the 2-course option, as I knew there was a surprise birthday cake to arrive at the end of the meal. 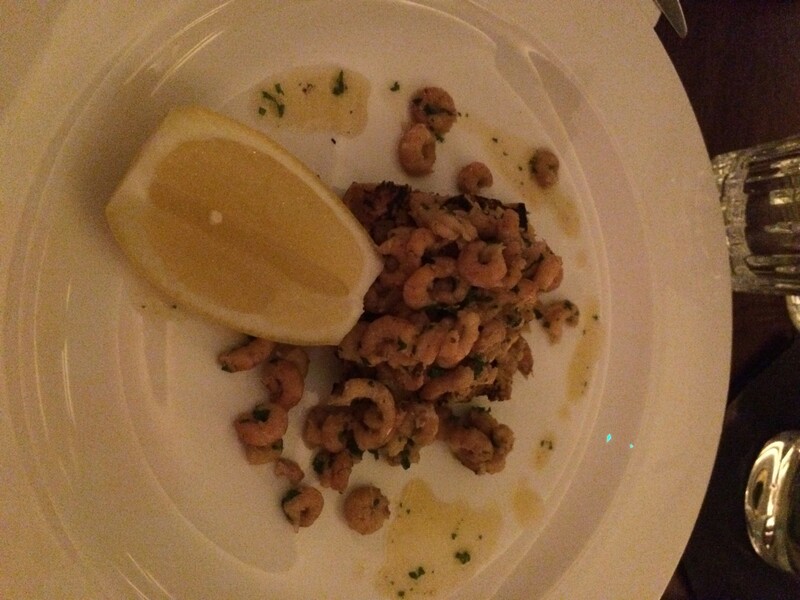 To start, I went for the shrimps on toast, an explosion of tiny curled up shrimps on crunchy square bread. The shrimps were quite salty, so I didn’t eat it all. 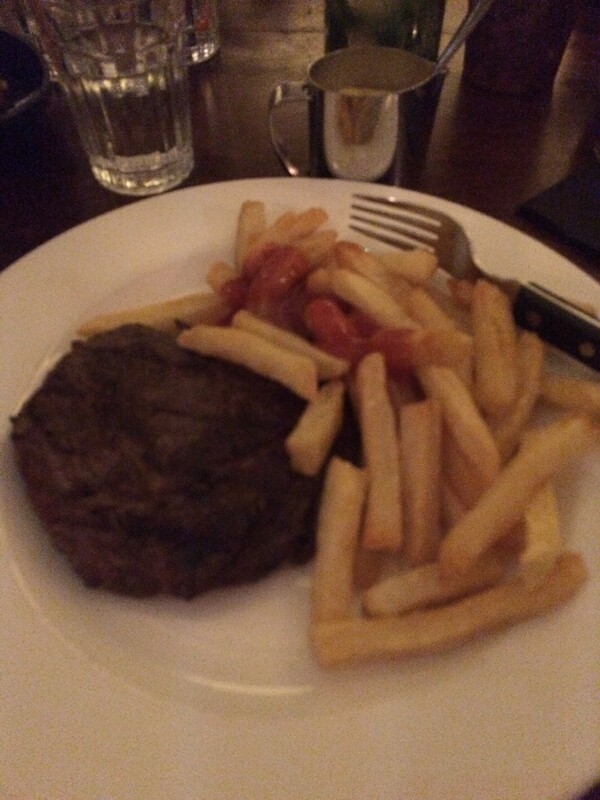 For mains, many of us went for the rib-eye steak, plus a side, any sauces are an extra £3. 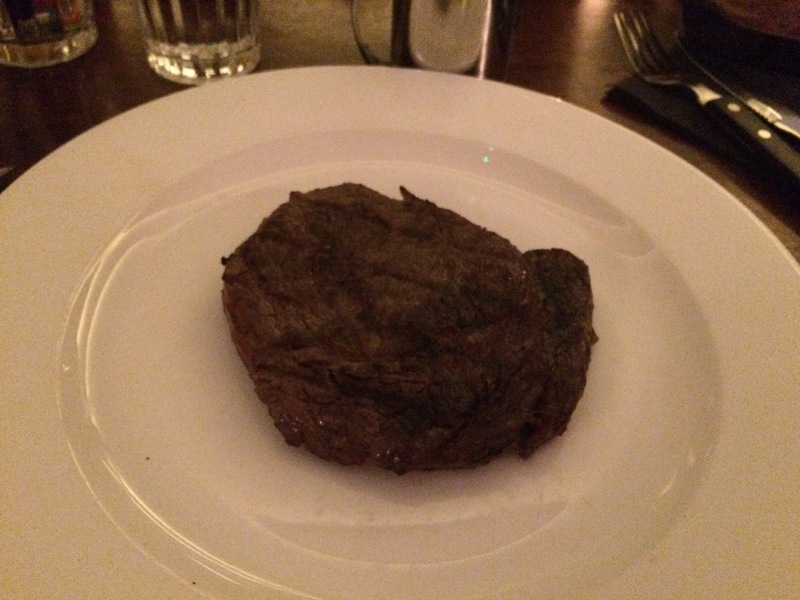 The rib eye was a great size 250g, cooked exactly how I wanted it, medium rare with juicy pink inside. Browned on the outside, still moist inside, the cut had great flavours, but lacked something. Triple cooked chips was fantastic, glowing yellow colour with the right amount of crisp on the outside, biting into fluffy potatoes. 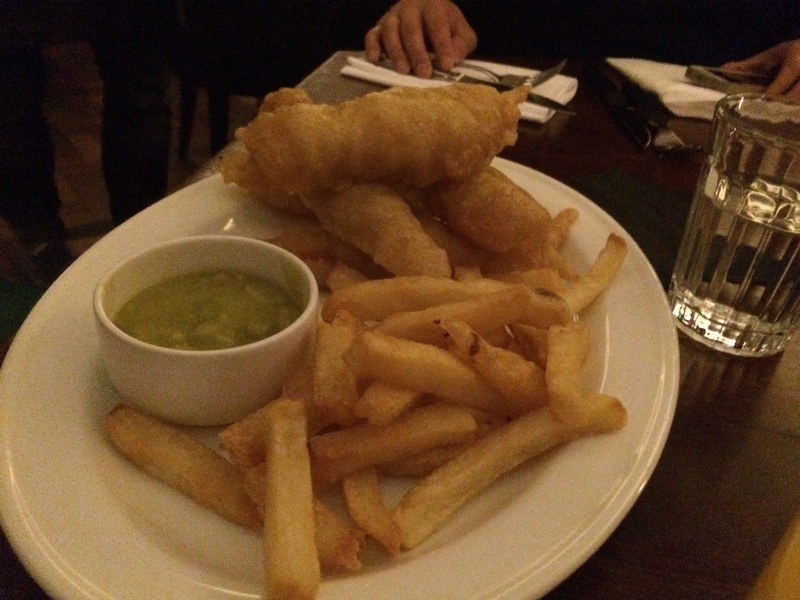 Although I was a bit disappointed, with the steak, the fish and chips were superb. They somehow ran out of fish fingers, and the waiter ran off to the chef to custom cook turbot fingers for the little girl in our party. I had to confess the turbot fish were mind blowing, ultra fresh fish with a super light crispy batter. 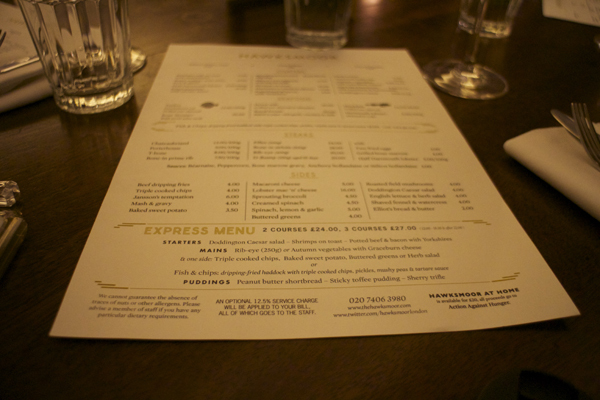 If you don’t want to break the bank and want to try the steaks at Hawksmoor, the express menu is the perfect choice. Exceptional service, I do prefer the fish and chips to the steaks.